This educational summer camp is sure to be fun for performers of all skill levels ages 10-18! 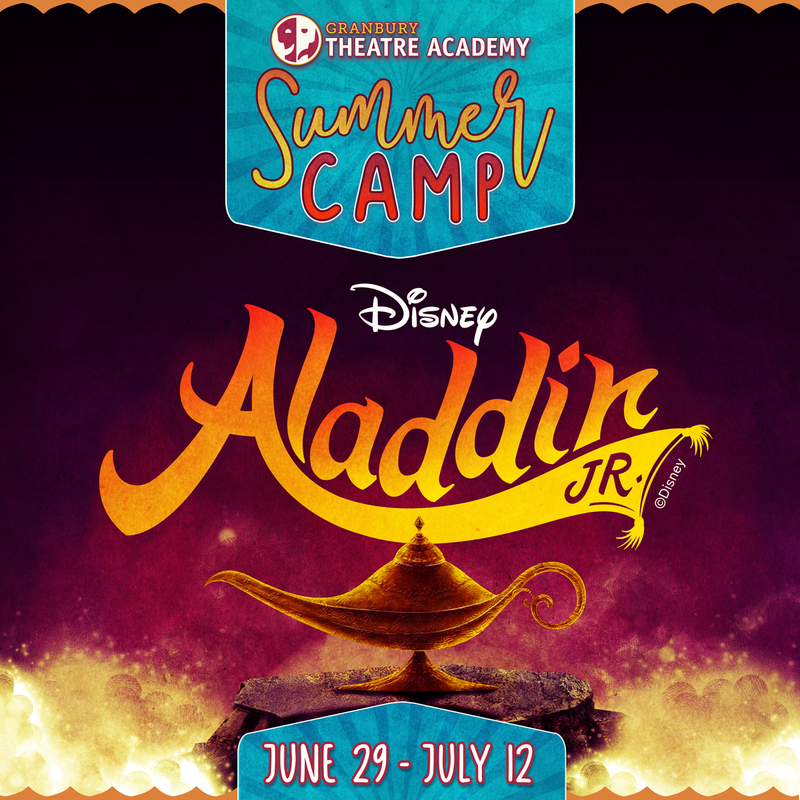 Campers will experience 8 full days of fun while learning music, choreography, and character development from area professionals who will prepare them for eight performances on the Granbury Opera House stage! Auditions will be Monday, June 10 at 10:00 am at the Granbury Opera House. If necessary, callbacks will be Tuesday, June 11 at the same time and location. Please prepare 45 seconds of your favorite song. Parts of the script will be provided for campers to read from. *Additional siblings may attend for $160 per sibling if registered before May 31 or $190 before June 10.